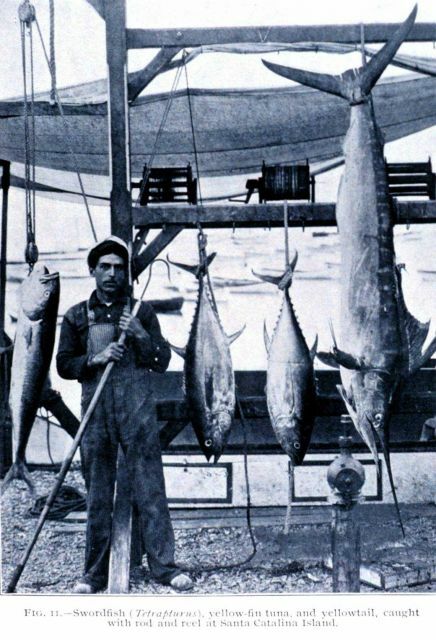 Swordfish (Tetrapturus), yellowfin tuna, and yellowtail, caught with rod and reel at Santa Catalina Island. In: “Sport Fishing in California and Florida,” by Charles F. Holder. Bulletin of the Bureau of Fisheries, Vol. XXVIII 1908, Part I, p. 207, Plate VI.